The famous Zagorochoria appear amongst the imposing Ioannina bulks of the Epirotic landscape. Impressive stone houses, picturesque cobblestone paths, bridges, all unique samples of the epirotic architecture, look like real paintings. The Prefecture of Ioannina has an important historical route – part of which is depicted at significant monuments all around the prefecture – as and many natural beauties. Zagorochoria are - with no doubt – the most beautiful area of the prefecture. It is a complex of 46 villages perched at the northeastern part of Ioannina city. The villages impress visitors with their natural beauties and traditional architecture, which create a fairy landscape. Each one of these villages has magnificent architecture, while the residents offer guests a warm hospitality. Zagorochoria cover an area of 1.000 sq. 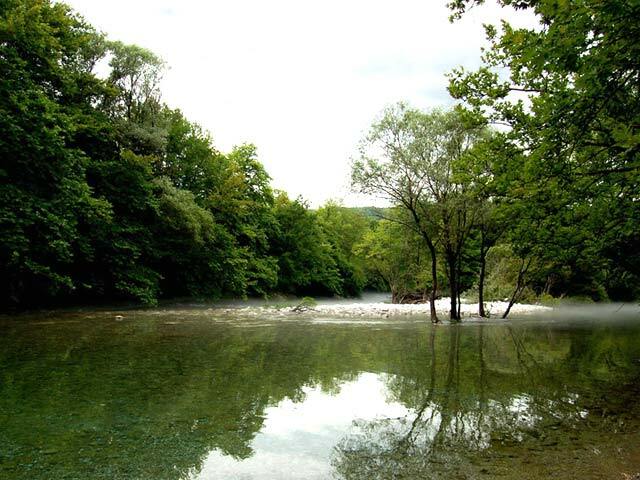 km and are divided into three geographical parts: the Western, the Eastern and the Central Zagori. If you have enough time, it is worth visiting all villages of Zagori and admire unique beauties of traditional architecture. 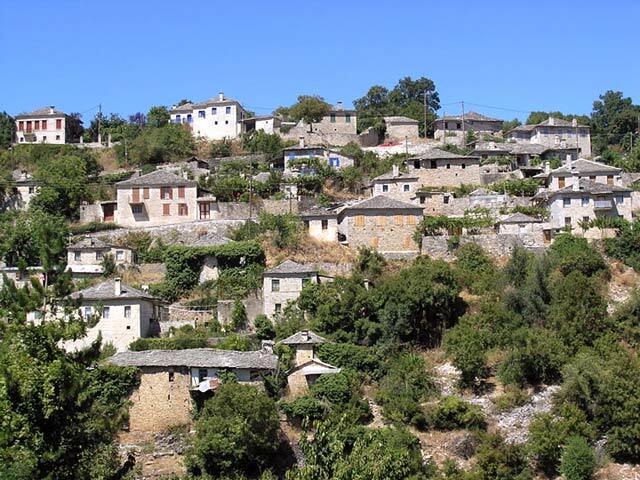 The villages of Zagori are small settlements surrounded by green landscapes, running waters, canyons and lakes. They are the ideal travel destination for all year round vacation. 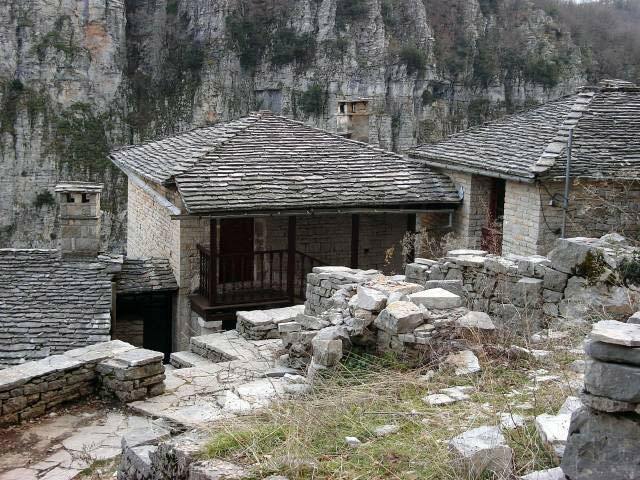 During your peregrination at the famous villages of the “Western Zagori”, you will have the chance to see some of the most famous and beautiful villages of Epirus. The villages around Voidomatis river create an idyllic scenery. Here you can enjoy various outdoor activities and extreme sports (canoeing, rafting) at the crystal waters of the river. There are several suggestions for the lovers of extreme sports. The visit at the villages of the Western Zagori will stay forever in your mind. Small settlements with age-long plane trees and cobbled paths lead to beautiful, ancient neighborhoods and take visitors back to past times. The Mikro (Small) and the (Megalo) Big Papigo, Aristi, Vikos, Agios Minas and Mesovouni have regular visitors, who are impressed by the magnificent architecture of the area. 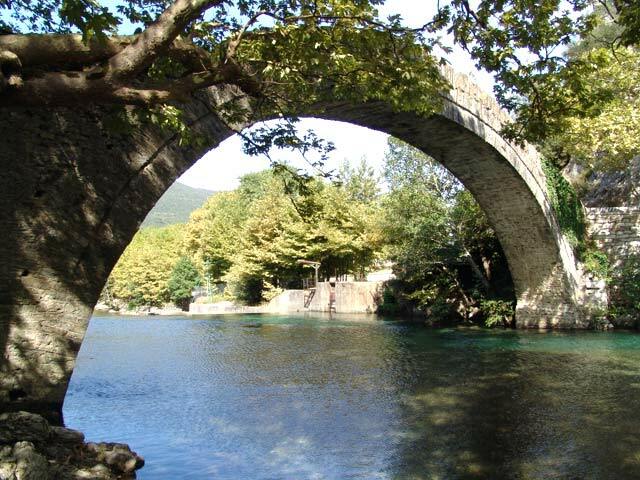 The narrow cobbled stone bridges - typical samples of the local architecture – the dense vegetation and the magnificent landscape – create unique pictures as the sunlight reflects on the waters of Voidomatis river. This river is one of the few with fresh water. The unique pictures enchant all visitors and recompense for any discomfort. The Central Zagori at the northwestern part of Ioannina Prefecture is quite impressive. It comprises of the villages Monodendri, Kipoi, Koukouli, Tselepovo, Dipotamo, Frangades, Leptokaria, Asprangeloi, Kapesovo, Skamneli, Negades, the famous Vlahohoria (Vrysohori, Iliohori), the villages of Ano Vikos valley (Vradeto, Elati, Elafotopos, Ano and Kato Pedina), as and the villages of Dikorfo, Manassi and Kalouta. 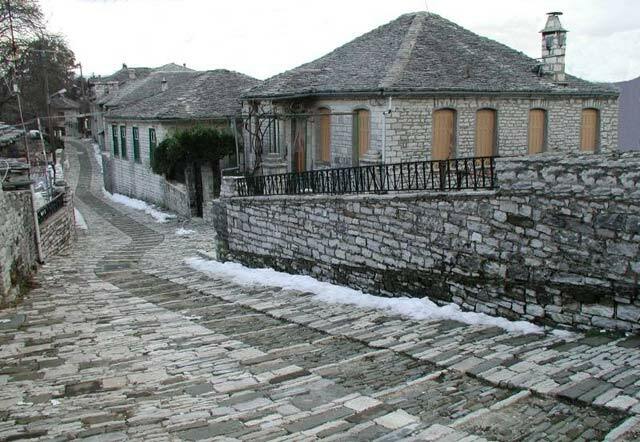 The villages of Central Zagori are built according to the traditional architecture. The well-preserved stone mansions, the cobblestone pavements, the marble fountains, the historic monuments, the old churches and the magnificent views of Vikos canyon create a unique scenery. 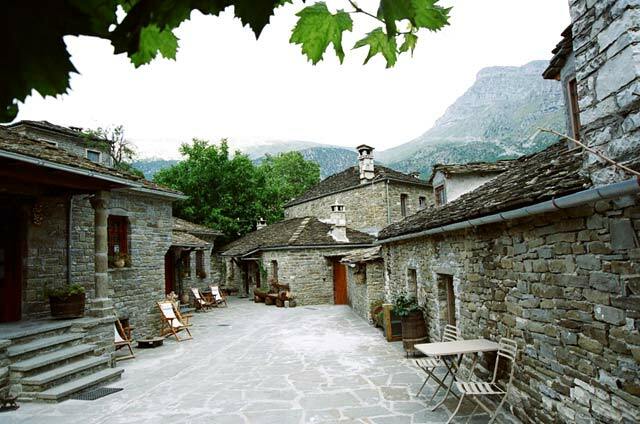 The “Agapios Tolis” Folklore Museum exhibits 40 thousand items, which reveal a lot about everyday life in Zagori. It is worth visiting the Open-air Museum in Elafotopos village, and the Library of Paschalios School in Kapesovo, where you will see – among others – one of the three extant copies of the political map of Great Greece proposed by Rigas Feraios. The Vikos gorge is listed, along with the Vikos – Aoos National Park – by the Guinness Book of Records as the deepest gorge in the world (900 m) with the smallest opening (just 1100 m.). The rich vegetation, the rare species of animals and birds impress every visitor of this beautiful gorge. 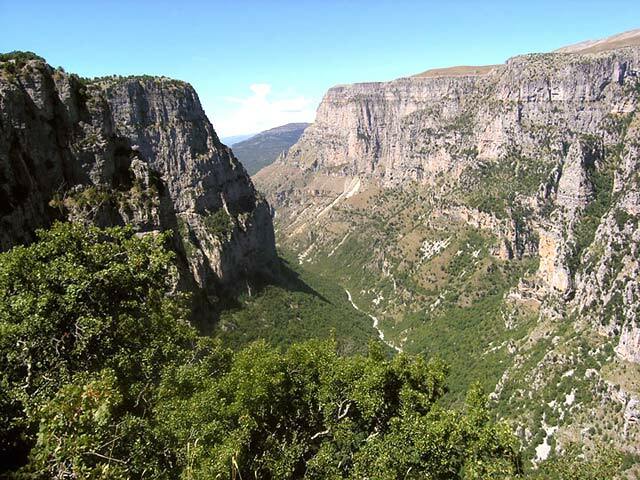 Finish your tour around Zagorochoria by visiting the “Eastern Zagori”. An area less known, but quite charming, at the northeastern part of Ioannina. The area has many beautiful and picturesque villages like those in Varda’s valley (Greveniti, Elatochori, Makrino, Flambourari, Tristeno), the villages of Zagoritikos valley (Anthrakitis, Karyes, Doliani, Cavallari), Vovousa, Demati, Itea, Kastanona, Agia Paraskevi and Potamia. The natural beauties and the traditional colours of these villages remain untouched through time. You need plenty of time in order to explore Zagorochoria. The 46 villages, the canyons, the rivers and the numerous natural and historical sights of the area, will impress you showing the magnificence of nature. Zagori attracts like a magnet making you return again and again in order to reveal hidden and unexplored beauties.